One of the many beauties of WordPress and open source software is that it brings a vast and diverse community of developers to the table to take WordPress beyond the basic product. In fact that’s what WordPress is, a basic platform that can easily be supplemented, to create new and better functionality. Oh the things we’ll do! Those add ons come in the form of plugins and there are thousands of them that do everything from sing “Hello Dolly” to run an ecommerce site. Maybe you want to create a membership site so you can get paid for your expertise, or need to gather information through user input using various forms. Whatever your need we can help you find the right plugin for the job. And once we’ve installed it we’ll help you set it up so it fits your need as well as train you how to use it. 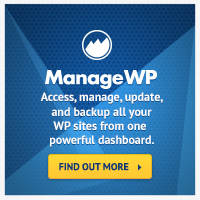 We have experience with many of the most popular plugins like Gravity Forms, Gravity View, Advanced Custom Fields, wp-members , The Events Calendar, and many more. So whether you need a simple plugin to tweak your site’s functionality or a major enhancement that requires a powerful and complex plugin, we can help you find the right one, install it and get it set up to meet your requirements. If we’re talking about plugins, I feel like I have to mention Jetpack, the free plugin from Automattic, the folks who created WordPress. It’s actually a Swiss Army Knife of plugins, it has over forty modules that make it one of the most versatile enhancements you can add. And did I mention it’s free?